A CGA to VGA Converter - LCD Suitable allowing a 15khz RGB signal to display on PC monitor or TFT monitor at 640x480. This Component to RGB Converter enables you to view your HDTV programs or high res video games on your PC Monitor. Since the output signal timing is exactly the same as the input singal timing, no pixel re-scaling needs to occur. This RGBHV to YPbPr Color Space Converter changes a PC/RGBHV input to a YPbPr HD format output. It enables the User to view PC graphics (images) on a HDTV, via a YPbPr connection. The signal timing of the converter output is always the same as the signal timing of the converter input. The CGA/RGB and Component to PC VGA Upscaler will accept an analog CGA or Component YCbCr video signal and upscales the signal for display on a PC screen, enabling connection of Standard Definition CGA/RGB or Component signal sources to modern LCD panels. The converter is designed to convert PAL or NTSC (YCbCr, Composite video, S-Video) and RGBS to a variety of VGA, XGA and HDTV output. This converter will accept input from a Scart connector via the use of a special cable included in this kit. Video RGBs Scart to PC/HDTV DVI converter is designed to upscale Composite video, S-video, Component Y/Cb/Cr and Scart RGBs signals to a variety of PC and High Definition TV resolutions. 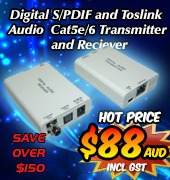 Ideal for use by Professional Business people and Academics and perfect for Home Multimedia Systems. A high performance CGA to VGA converter designed specifically for use with gaming model boards. 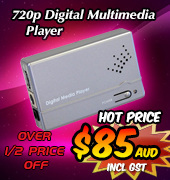 The converter allows boards from manufacturers such as AMCOE, ASTRO and DYNA to be diplayed on VGA monitors (CRT or LCD). This product is especially suited to gaming machines that have a CGA monitor that has failed, allowing a cheaper and more readily available VGA monitor to be used as a replacement. The RGB, MDA, CGA, EGA to VGA Converter is a new multi-frequency scan converter, up-scaling to PC VGA and SVGA resolutions. The converter will auto-scan and accept horizontal scan frequencies from 12kHz ~ 40kHz with the vertical scan frequency unconstrained. New Williams 2000 Pinball Machine CRT to LCD Converter (for Star Wars Episode 1 and Revenge From Mars) not only auto-detects and displays the video signal, but also has an "On Screen Display" (OSD) menu with adjustments to show a perfect image. The CSC-200RS Magic View Video Scaler is a high quality up-converter, capable of converting S-video and YCbCr into high resolution PC or HDTV output with RS232 control. 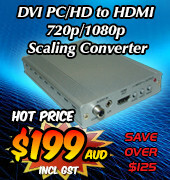 A professional DVI Digital scaler with ultra high bandwidth Scaler. For PC, Component, DVI to DVI. This model can handle input and output signals upto 205MHz. It accepts both analog and digital input and outputs a variety of scaled DVI resolutions. A professional HDMI Digital scaler with ultra high bandwidth, for PC, Component, HDMI as well as audio to HDMI. This model can handle input and output signals upto 205MHz. It accepts both analog and digital input and outputs a variety of scaled HDMI resolutions. The CSC-200 Magic View Video Scaler Deinterlacer CSC-200 is a high quality up-converter, capable of converting S-video and YCbCr into high resolution PC or HDTV output. The 10.4 Inch Delta CGA EGA Multi-Frequency to SVGA LCD Panel is a TFT-LCD monitor and from our range of LCD based Industrial style RGB to VGA converters. Specifically designed for retrofit of older style CRT monitors commonly found in CNC machinery and Arcade Game cabinets, the simple open frame panel construction with detachable controller ensures easy installation and connection. Inbuilt auto detection of the source signal allows for quick and easy connection while a comprehensive OSD menu allows for total control of image size, position and overall appearance. 15 Inch CGA EGA VGA to XGA Wide Viewing-Angle LCD Monitor, which can accept a wide range of RGB inputs of CGA, EGA, VGA, SVGA to XGA. Ideal as an update for replacement of older superceded CRT and LCD monitors, this unit is made for CNC Industrial and Commercial applications. Advanced wide viewing-angle allows the screen to be easily watched from the sides or top or bottom. The 15 Inch Delta CGA EGA Multi-frequency to XGA LCD Panel is a TFT-LCD monitor and is from our range of LCD based Industrial style RGB to VGA converters. Specifically designed for retrofit of older style CRT monitors commonly found in CNC machinery and Arcade Game cabinets, the simple open frame panel construction with detachable controller ensures easy instal and connection. Inbuilt auto detection of the source signal allows for quick and easy connection while a comprehensive OSD menu allows for total control of image size, position and overall appearance. Advanced 17 Inch CGA EGA VGA to SXGA open frame LCD Panel, which can accept a wide range of RGB inputs of CGA, EGA, VGA to SXGA. Ideal as an update for replacement of older superceded CRT and LCD monitors, this unit is made for CNC Industrial and Commercial applications. Advanced 10.4 Inch CGA EGA VGA to SVGA LCD Panel, which can accept a wide range of RGB inputs of CGA, EGA, VGA to SVGA. Ideal as an update for replacement of older, smaller superceded CRT and LCD monitors, this unit is made for CNC Industrial and Commercial applications. Advanced 12.1 Inch CGA EGA VGA to SVGA LCD Panel (Normal Viewing Angle), which can accept a wide range of RGB inputs including CGA, EGA, VGA and SVGA. Ideal as an update for replacement of older superceded CRT and LCD monitors, this unit is made for CNC Industrial and Commercial applications. Advanced 8.4 Inch CGA EGA VGA to SVGA LCD Panel, which can accept a wide range of RGB inputs of CGA, EGA, VGA up to SVGA resolutions. Ideal as an update for replacement of older, smaller superceded CRT and LCD monitors, this unit is made for CNC Industrial and Commercial applications. The 12.1 Inch Delta CGA EGA Multi-frequency to SVGA LCD Panel is a TFT-LCD monitor and is the 2010 model from our range of LCD based Industrial style RGB to VGA converters. Specifically designed for the retrofit of older style CRT monitors commonly found in CNC machinery and Arcade Game cabinets, the simple open frame panel construction with detachable controller ensures easy installation and connection. Inbuilt auto detection of the source signal allows for quick and easy connection, while a comprehensive OSD menu allows for total control of image size, position and overall appearance. 15 inch CGA EGA VGA LCD Desktop Monitor - Multi-Frequency easily allowing you to connect CGA, EGA, VGA video signals directly into the monitor via 9pin to 15pin computer cable, or via our industrial RGB converter board. Plug and play solution for your older computer or industrial equipment. The 17 Inch Delta CGA EGA Multi-frequency to SXGA LCD Panel is a TFT-LCD monitor and is the latest addition to our range of LCD based Industrial style RGB to VGA converters. Specifically designed for retrofit of older style CRT monitors commonly found in CNC machinery and Arcade Game cabinets, the simple open frame panel construction with detachable controller ensures easy instal and connection. Inbuilt auto detection of the source signal allows for quick and easy connection while a comprehensive OSD menu allows for total control of image size, position and overall appearance. The 19 Inch Delta CGA EGA Multi-frequency to SXGA LCD Panel is a TFT-LCD monitor from our range of LCD based Industrial style RGB to VGA converters. Specifically designed for retrofit of older style CRT monitors commonly found in CNC machinery and Arcade Game cabinets, the simple open frame panel construction, with detachable controller, ensures easy installation and connection. The CGA to EGA to VGA Converter (Multi) scales video signal timings like CGA, EGA and VGA into other signal timings of CGA, EGA or VGA. The converter features an easy to use OSD menu and LED lights will tell you which output is currently operational. Advanced 19 Inch CGA EGA VGA to SXGA open frame LCD Panel, which can accept a wide range of RGB inputs of CGA, EGA, VGA to SXGA. Ideal as an update for replacement of older superceded CRT and LCD monitors, this unit is made for CNC Industrial and Commercial applications. The 15 Inch Delta CGA EGA Multi-Frequency to XGA Cap-Touch Screen LCD is a TFT-LCD monitor with in-built Capacitive Touch Screen and is from our range of LCD based Industrial style RGB to VGA converters. Specifically designed for retrofit of older style CRT monitors commonly found in CNC machinery and Arcade Game cabinets, the simple open frame panel construction with detachable controller ensures easy instal and connection. Inbuilt auto detection of the source signal allows for quick and easy connection while a comprehensive OSD menu allows for total control of image size, position and overall appearance. The 19 Inch Delta CGA EGA Multi-Frequency to SXGA Cap-Touch Screen LCD is a TFT-LCD monitor with in-built Capacitive Touch Screen and is from our range of LCD based Industrial style RGB to VGA converters. Specifically designed for retrofit of older style CRT monitors commonly found in CNC machinery and Arcade Game cabinets, the simple open frame panel construction, with detachable controller, ensures easy installation and connection. Inbuilt automatic detection of the source signal allows for quick and easy connection while a comprehensive OSD menu allows for total control of image size, position and overall appearance. 26 Inch CGA EGA VGA DVI to WXGA LCD Panel designed for the retrofit of older CRT style monitors on CNC Machinery and Arcade Game Cabinets. This panel compliments our range of smaller sized CGA/EGA/VGA LCD's, catering for larger monitor retrofits. Complete with an open frame chassis designed for easier integration into any cabinet, the 26 Inch CGA EGA VGA DVI to WXGA LCD Panel will accept PC timings up to WXGA (1280x768@60hz) and HD up to 1080p. The 17 Inch LCD Touchscreen CGA EGA VGA Monitor is an open frame LCD panel which can accept a wide range of RGB inputs, from CGA, EGA, VGA to SXGA. Touchscreen LCD monitors allow the user to control their computer/equipment by touching the screen, rather than by using a mouse. Uses 3M's industry-standard surface capacitive touch technology, it is suitable for integration into information displays, kiosk systems, point of sale systems, gaming machines, and industrial equipment.